Last month, I reviewed TuneUp Utilities 2011, which is regarded as one of the best Windows system optimisation suites around. Today, I will take a look at System Mechanic 10, which is quite possibly TuneUp’s biggest challenger. In terms of features there is a lot of overlap between System Mechanic and TuneUp Utilities. Like Tuneup, System Mechanic is a powerhouse with several dozen tools. All the standard tools like Registry Cleaner, Registry Defragmenter, Disk Defragmenter, Start-up Optimiser, Disk Cleaner, Broken Shortcut Remover, Disk Scanner and File Shredder are present in both these utilities. However, there are quite a few differences too. System Mechanic has been designed to be suitable for both novices and experts. Inexperienced users can simply run a system analysis to identify the areas of concern. On the other hand, experts can go to the Toolbox section to manually exploit the various tools. From the Problems section you can get an overview of the issues identified and fix them. Here’s what System Mechanic came up with after I ran a deep scan. 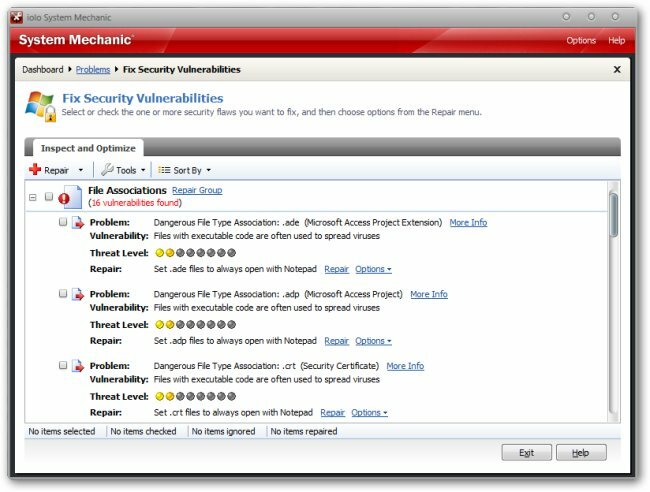 The first problem identified by System Mechanic was a false positive as Kaspersky Internet Security Suite includes a Firewall (Anti-Hacker). It’s surprising that System Mechanic failed to realise that, as even Windows Activity Centre can differentiate between Kaspersky Antivirus and Kaspersky Internet Security. Thankfully, the other advisories were more accurate. The first tool I tried was the Security Vulnerability Scanner. It scans your system settings to identify potential weaklings that can be exploited by malwares. This includes checking hosts file and Windows file associations. Next up I tried the Disk Defragmentation (Drive Accelerator) tool. This is one area where System Mechanic is head and shoulders ahead of TuneUp Utilities. Not only does it support boot time defragmentation (offline defragmentation) like Raxco Perfect Disk (and other commercial defragmentation tools), but it also has a unique Program Accelerator tool that realigns programs and their files on the hard disk to decrease launch time and increase performance. Another unique features in System Mechanic is CRUDD (Commonly Redundant or Unnecessary Decelerators and Destabilisers). Don’t be fooled by the unnecessarily complicated name. This tool simply alerts you about overlapping applications (i.e. utilities that perform same/similar function) installed on your system. I didn’t find this to be particularly useful though, as pretty much every installed application on my system serves a specific purpose. 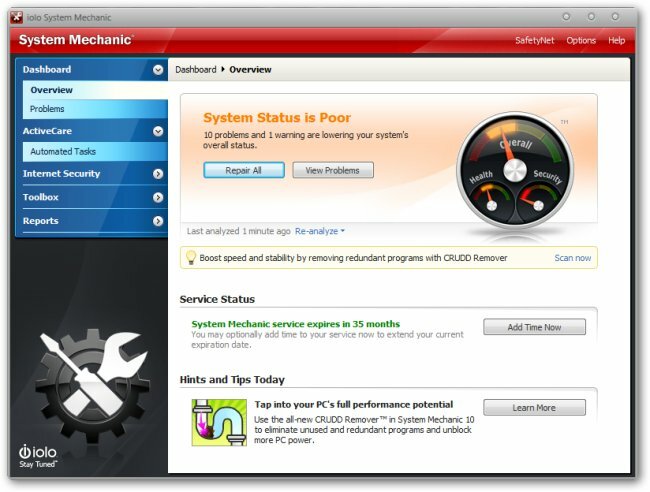 Unlike TuneUp Utilities, which relies on scheduled runs of the 1-click optimiser, System Mechanic uses ActiveCare to automatically monitor your system health, and apply fixes when your computer is idle. Besides providing a gazillion of tools for repairing and optimising your system, iolo System Mechanic also includes some handy tools for generating reports about your system status. There is the System Information tool that jots down your hardware and software configuration. There is DriveSense to monitor your hard disk’s health (based on SMART). And, there is even a System Change Tracker to identify changes made by program installations and other activities. On the whole, System Mechanic 10 is an extremely impressive package. Since my previous trust, it has improved vastly. Unlike TuneUp Utilities, it doesn’t aim at being a Swiss-army knife. It won’t help you change icons, install themes or modify your logon screen. However, when it comes to optimising and repairing Windows, System Mechanic is pretty darn exhaustive. In PCMag’s GeekBench benchmark, System Mechanic 10 returned the best results and succeeded in improving file copying speeds as well as Windows boot time significantly. In fact, System Mechanic 10 edged out others like TuneUp, and went on to win the Editor’s choice award. Watch out for the automatic renewal option. Use this only if you are certain. You can also blog about this contest to get 3 additional entries. Once again, you must leave a comment with the URL of the blogpost. The contest will end on November 27, 2010 at 12:00 Noon IST. The contest is over and the winners have been announced. Don't miss an update! Subscribe to the newsletter or connect with me. 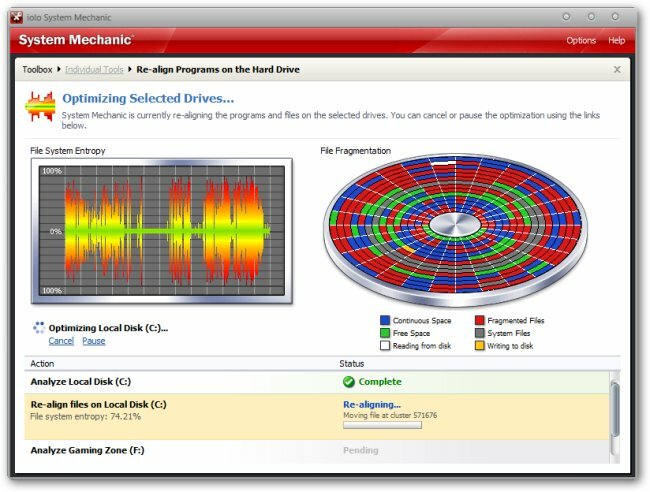 Do SSD Drives Need to be Defragmented? What Does Optimize in Windows 8 Really Do? Truecaller – How does it Work and where does it get Its Data From? This software sounds good. I’d like to win one license. If indeed this applet is as good as TuneUp2010, you might want to try it in action. Written on the license! A big thank you Admin! Info sent into the world …. thanking you for this givingaway. I have no blog. I cannot blog. System Mechanic now seem interesting with its new version. I hope this will improve for real. Thanks for this giveaway opportunity. Please count me in. I’m already a subscriber and also following you on twitter. 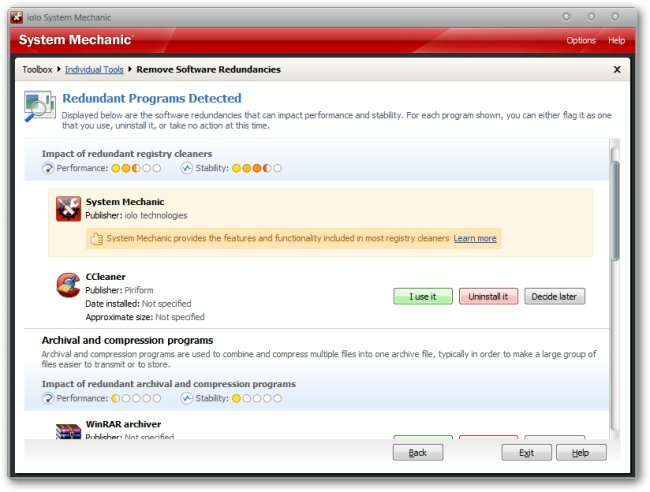 I use System Mechanic 6 month free before & hopefully can win 1 license this time. I am old subscriber & tweet & follow @indyan. 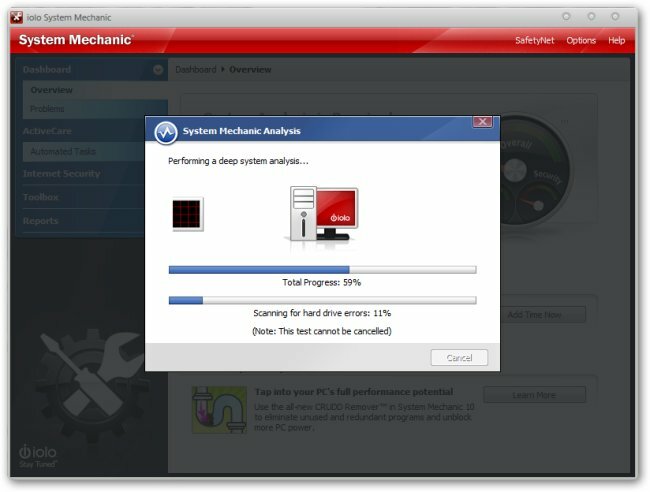 System mechanic 10 is one of the best system utility software i have ever used,i have lost the recent giveaway of tune up utilities but i don’t want to loose this one.Hope i win this time. I have already subscribed to you via email. Pallab ,you are really doing a very good job,keep it up. Thanks for another popular system suite utility giveaway. I like System Mechanic as a complete tool. I would like to get it. I’m a subscriber to your e-mail newsletter. 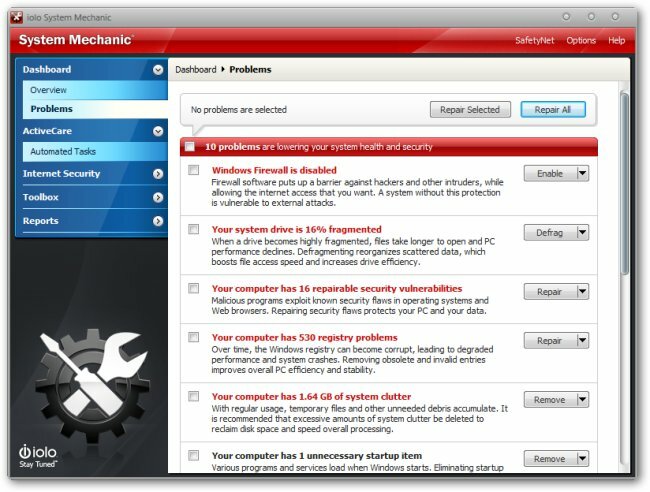 First of all thanks for this giveaway,System mechanic is a great utility software with a lot of exciting and useful features ,i hope i will win a free license for this all in utility software..
For This Software is powerful to fix windows problems & this is a very best partner for Tuneup Utilities. I had posted this Giveaway Program at The Largest Indonesia Community, KASKUS. Hope I can Win This one! This Software is really powerful to fix windows problems & this is a very best partner for Tuneup Utilities. I really love this software to accompany Tuneup Utilities. I tried out Sytem Mechanic, it was excellent. Thanks for nice giveaway ! I would like to win System Mechanic -super utility too. I would like to win System Mechanic —-super utility too. Pretty cool deal, I want to try out the “Drive Accelerator” feature myself, I will go ahead and subscribe to your blog with my email address! Cool software. will check this. ha why not. Count me in as well. did they fix the Registry Cleaner part? every time I use such a tool it brakes windows. This is a really great giveaway. The trial version was very good, I would love to win the full version. I think this is a great thing what you and iolo are doing. I hope I have a chance at winning this prize. DID they ever fix the Registry Cleaner part? ever time I use such a tool it brakes windows. I bet since the update they did. Also I think it creates a restore point before you start the cleaning process. At least most registry cleaners do. thank you for including me in. After installing System Mechanic 8.5.2, SM corrupted my Registry (XP Home, Service Pack 3) and caused software loading problems. SafteyNet failed to undo the changes and so I had to reload XP. I emailed Iolo who referred me to an article on how to exclude items in the Registry, but I found this impossible to understand. I reloaded XP, reinstalled SM and the same thing happened. Is there some Registry-maintenance software out there that does not itself screw up the Registry? I also had a bad experience with one of the older versions of System mechanic (v6). However, this version seems to be fine (in fact, great). Create a system restore point and give SM 10 a try. If you are looking for an alternative, try TuneUp Utilities. I tried out the latest version of System Mechanic on a friend’s computer recently and it really worked great. Most of his problems were fixed and he’s going to use it frequently to keep the PC in top shape. I have a Rogue Pop.can virus and purchased PCDoctors to clean it up, but, I know very ltltie about theRegistry. My computer is running slow on start up and email is like a turtle now. Sounds like a great program. I had some serious errors in the windows register and tried to fix it with programs similar but with no luck. I would have certainly given this program a try before I reinstalled Windows if I had known about it then. Yea my computer is currently experiencing massive slow downs. I will probably just reinstall windows, but that’s a huge pain. Am using Nokia N70 and an air-tel connection . I use my mobile to access internet on my laptop. Is there any way or software which could increase the browsing or downloading speed.Thanks. I wonder if a one time payment for this is available as opposed to a yearly rate? Windows is a closed source system. Developers of registry cleaners do not have the core code of Win 7 and are not working on definitive information, but rather they are going on past knowledge and experience, most of which is not applicable to Win 7. Automatic cleaners will usually have to do some guesswork. There is almost no tweaking that can be done to Win 7 to speed it up. The system is designed to diagnose itself and take care of itself which it does remarkably well. Win 7 maintains itself and that includes the registry. Cleaners are pure snake oil. At best they do nothing except use resources. At worst, they can mess your system up, slowing it down, and even crash it. There is no utility out there anywhere that can speed Win 7 up and improve its performance, at least not at this time. Modifying registry keys incorrectly can cause Windows instability, or make Windows unbootable. No registry cleaner is completely safe and the potential is ever present to cause more problems than they claim to fix. Registry cleaners cannot distinguish between good and bad. If you run a registry cleaner, it will delete all those keys which are obsolete and sitting idle; but in reality, those keys may well be needed by some programs or windows at a later time. Windows 7 is much more efficient at managing the registry than previous Windows versions. Even if you use the CCleaner registry to delete keys left over when uninstalling programs, these few keys will not make 1 millisecond’s difference in performance. If you run CCleaner or any other registry cleaner and do not know precisely what you are doing, you will have problems down the road. There are no gains to be had from using a registry cleaner and the risk is great. Forget all the “wisdom” you learned about XP. Windows 7 is not XP and does not manage the registry the same as XP. This isn’t to say that the system does not need to be maintained. Uninstall programs that you don’t use, delete unneeded and unnecessary files. Defrag your hard drive. But don’t screw with the registry unless you are an in depth expert in the Win 7 registry. Most of the time, the cure is a clean install. Using a program such as Ccleaner is fine to get rid of old and unnecessary files. A tuneup utility is not only unneeded, it can actually harm your system. Don’t use them. This is very useful software. Thanks for Sharing. Great review I use the product myself and it is well worth themoney. Congrats to the winners, it seems as if im late for the contest. Arkamda yürüme, ben öncün olmayabilirim. Önümde yürüme, takipçin olmayabilirim. Sana uymayabilirim. Yan?mda yürü ki böylece seni görebileyim, böylece ikimiz e?it oluruz. 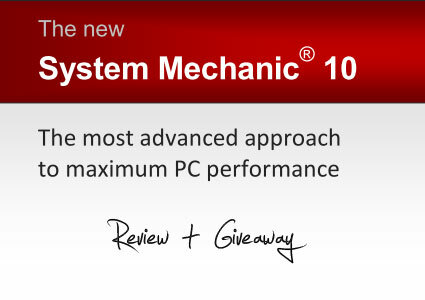 The features of System Mechanic 10 seems good to me and after reading the reviews of it, I am planning to try it very soon. This blog is authored by Pallab De, a 25 year old IT professional and tech-enthusiast from India. This blog is a place where he shares tips and tricks, opinions, analysis, and general ramblings. © 2019 Pallab dot Net. All Rights Reserved.